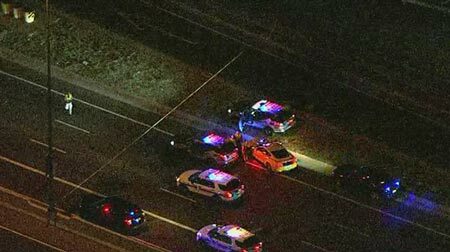 Phoenix, Arizona—An unidentified pedestrian was killed Tuesday night on southbound Interstate 17 after two vehicles struck him near Dunlap Avenue. The accident occurred shortly after 9:00 p.m. Accident investigators with the Arizona Department of Public Safety were on the scene throughout the night. The freeway re-opened at 4:00 a.m. The pedestrian, who police indicate was in his 30s, was taken to a local hospital before he died.